If you are looking for a carpet cleaner don’t think that for a second they won’t try to be in control of you. Carpet cleaners will usually not list their pricing on their website so they can charge you whatever they want. You don’t know if another customer with the same square footage is getting the same price or better. They also don’t list what their services include so you don’t know what you’re getting for your money until you call in and even then they aren’t always honest. So many carpet cleaners will price you for their standard clean which is just a steam clean and cannot remove stains. Then when they arrive to your home they will up the price and you end up paying more then you expected. They also may change their price depending on the size of the room. It is not uncommon for a carpet cleaner to have a limit on the square footage of a room and if a room surpasses this amount it counts as two rooms and your price may change again. When you are calling a carpet cleaner it is always important to ask the right questions so you can be in control. Let them know how many rooms you are wanting to have cleaned and if you have living/dinning combo count it is two rooms. Ask if there is a square footage limit so you know if a room will count as one or two. If you need more then a basic sanitization of your carpets you will need carpet cleaning that will include a pre-spray for stains so ask for this when getting a price quote. Be sure to ask if they use a truck mounted carpet cleaning machine because these machines clean 100% better then a portable or any type of DIY product. Ask them how hot the steam will get. If it’s not over 200 degrees your carpets will not be truly clean. ALWAYS ask if there are any other charges. It is not uncommon for carpet cleaners to have some kind of hidden charges and you won’t find out until they arrive. When you call Beyer Carpet Cleaning you won’t have to ask nearly as many questions because most of their information is listed on their website. If you are needing all the rooms in your home cleaned they have coupons listed with the price and what all it includes. 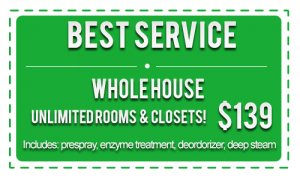 All of their best service cleans include a steam, vacuum, prespray, and deodorizer at no extra charge. They do not have square footage limits on a room so no matter how big the room is it will count as one unless it is a living/dinning combo those still count as two rooms. Their truck mounted machines reach at least 210 degrees each time so you are getting the best steam clean possible. Beyer Carpet Cleaning has no hidden charges. Besides the price for carpet cleaning and sales tax Beyer has no other charges unless it was stated at the time service was schedules such as fuel fee if you are a certain number of miles outside San Antonio. Beyer Carpet Cleaning is always upfront and honest. They do not want to have a reputation for inconsistency or poor customer service. 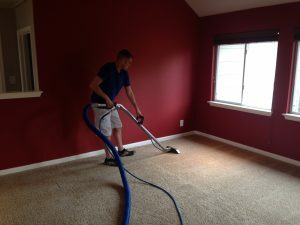 Beyer Carpet Cleaning is here to help you get a quality carpet cleaning for an affordable price.